I’ve started this blog so I can share my experience of being a young single mum with others and maybe help a few people who might be struggling…. Luna-Rose was born November 29th 2015 and I can honestly say no matter how much you try to mentally prepare yourself to the fact that once you leave the hospital, it’s just going to be the two of you … it’s still a massive shock to the system. 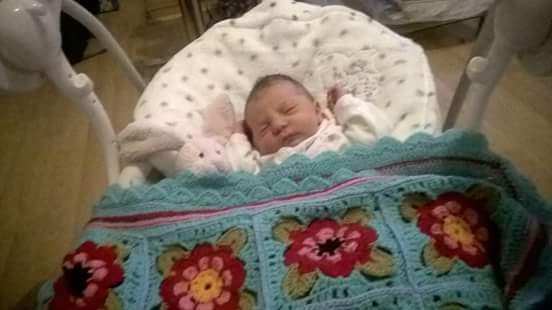 The first night home was absolutely terrifying for me, I remember feeling slightly confident after her father dropped us home from the hospital because I knew my brother was at my house and I wasn’t alone straight away. Even after my brother left I still felt ok; luna had been the perfect baby on the maternity ward so I thought that she would carry on being like that … oh boy was I wrong. She wouldn’t sleep in her crib or latch on properly when I was trying to feed her, I just cried most of the night feeling completely useless and alone, I didn’t want to ask for help from anyone because I felt like they would judge me. Looking back I can know say that you should never be scared of asking for help, no one in your support network is judging you they just want to help. I was lucky because a few people in my support network kept checking in on me via messages throughout the first night and giving advice and support. Always ask for help if your feeling like you can’t cope, being a single mum doesn’t mean you doing this on your own. It might not feel like it sometimes but there are always people who want to help.